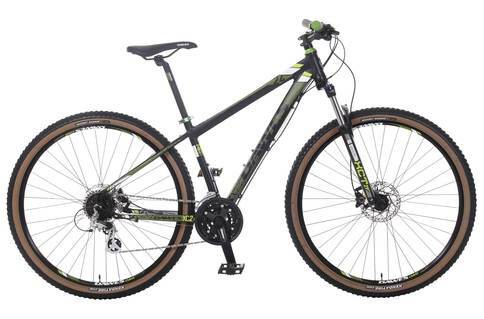 Click the button below to add the Dawes XC24 29 2017 Mountain Bike to your wish list. The XC24D has everything you need to get serious about off road riding. With a choice of 650B, or 29″ wheels, combined with Shimano Acera 24 speed gears and SR Suntour suspension forks, you’ll be rolling over rocks, roots and other rough terrain with ease. When it comes to stopping there’s no problem thanks to excellent Shimano Hydraulic disc brakes. Super strong double wall rims fitted with eye-catching Kenda gumwall tyres give a sure footed ride. Take the XC24D off-road and it won’t disappoint. Kenda Honey Badger Gumwall, 29"x2.0"